You go into every Thanksgiving holiday with the best of intentions, imagining a delicious meal, a family happy to be reunited, an afternoon of touch football in the yard, and then day after day of leftover turkey sandwiches (the best part of Thanksgiving, if you ask us). But then the weekend after the holiday rolls around and you're stuck: you're surrounded by family, everyone is bored and getting on each others' nerves, and the idea of doing some Black Friday shopping to get away from each other fills you with some serious dread. Luckily there's one solution out there for all of us, every year: the movies! Hollywood, a place that understands better than anyone how your family can make you nuts, obliges us every year by releasing a whole ton of movies around the holiday, at least one of which is bound to appeal to everybody. And while there are a few films you can take almost anyone to and guarantee a success-- to keep the sky from falling on your holiday, if you know what we mean-- there are a lot of others you have to choose carefully. And that's where we come in. While we normally let you peruse our site and make your own choices about moviegoing, we know that Thanksgiving is a tricky holiday, so we're here to help. Below is our guide to all the new movies coming to theaters this week, plus a few holdovers, and how to tailor them to the family members and friends you're entertaining. If we stick together we can get through this-- and then repeat the whole process when Christmas comes around in a few weeks. 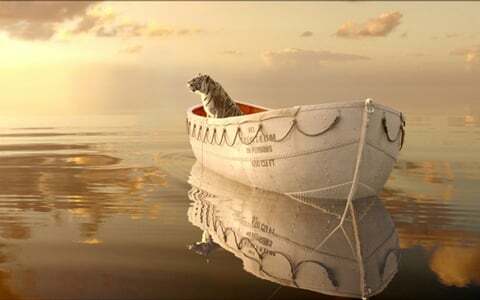 When you're not traveling by boat any time soon and you're not completely sick of 3D: Life of Pi. It's got some of the best reviews of the holiday season, which can also help sway some family members who aren't sure they want to spend two hours trapped in a lifeboat with a menacing tiger. And the 3D visuals that are being compared to Avatar really are worth the price of admission, and ought to give you plenty to discuss in the parking lot: "Can you believe what that whale looked like?" Best for: Anyone old enough not to be completely traumatized by the sight of the tiger, and landlocked enough not to spend the rest of the holiday afraid of the ocean. Kind of like that time you all saw… Hugo in 2011, because of the impressive 3D and its power to whisk you away to a new world. 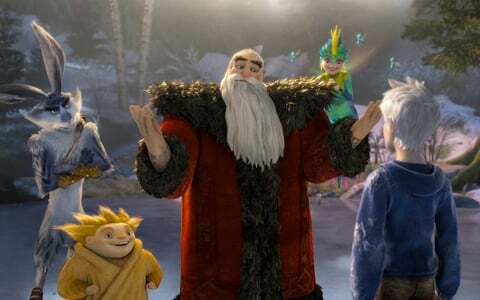 When you have kids to entertain and you're already in the mood for Christmas: Rise of the Guardians. It's technically not a Christmas movie, but with Santa as a major character and Jack Frost running around creating snowball fights and ice skating rinks, it will definitely have you in the mood to decorate your tree. And though it's kid-friendly, it's very much in the vein of other DreamWorks Animation films, which means the grown-ups won't be squirming in their seats before the end-- even if they might rather catch something else. Best for: Families with kids too small to handle Life of Pi. Kind of like that time you all saw… Harry Potter and the Sorcerer's Stone in 2002, and wound up liking it a little more than you expected. When you have insatiable 80s nostalgia and refuse to listen to good sense: Red Dawn. After being delayed for years, and being ballsy enough to recut itself to make the villains North Korean instead of Chinese, Red Dawn inexplicably arrives this week as a Thanksgiving release, despite the fact that--based on early reviews-- absolutely nobody should be seeing it, regardless of the time of year. Best for: Teenagers and young adults who want to be defiant and ditch their families to see a movie no one else will bother with. Kind of like that time you all saw… Alien: Resurrection in 1997, because you didn't have good sense back then, either. When your family is so dysfunctional you need proof that somebody out there is worse: Silver Linings Playbook. It's already getting major Oscar buzz and almost uniformly great reviews, but the real boost of Silver Linings to your holiday is seeing the Solitano clan in all their ugly glory-- Pat Jr. (Bradley Cooper), Pat Sr. (Robert DeNiro) with his compulsive gambling, and mom (Jacki Weaver) attempting to hold it all together by making "crabby snacks and homemades." Your family may be crazier, but they're probably not this entertaining. 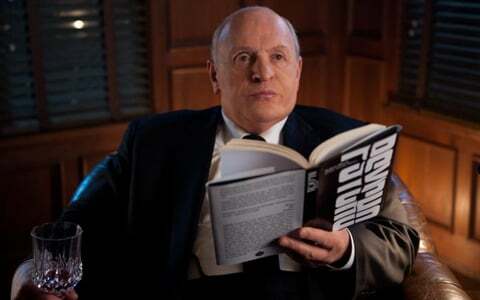 Best for: Grown-ups fond of indie comedies; working knowledge of NFL Football a plus. Kind of like that time you all saw… Meet the Parents in 2000, and wished DeNiro was being a bit crazier. When you've got a crowd of film geeks in a major city who want to see the lighter side of old Hollywood: Hitchcock. Since the movie is basically a marital comedy, as Hitch (Anthony Hopkins) and his wife (Helen Mirren) work out their issues while making Psycho together, it's not nearly as creepy as the master's actual films, and with Scarlett Johansson and Jessica Biel playing former starlets Janet Leigh and Vera Miles, fans of Old Hollywood costumes and glamour should have plenty to enjoy too. Best for: Movie buffs who want to be a few steps ahead on this year's guaranteed acting Oscar nominees. Kind of like that time you all saw… My Week With Marilyn in 2011. In fact, it's so much like that it's uncanny. When you're in a major city and don't mind reading subtitles: Rust and Bone. You can probably guess by the title that this is a brutal kind of love story, about an unlikely romance between two broken people-- and in French, no less! But people are raving about the lead performances by Marion Cotillard and Matthias Schoenaarts, so you're probably going to want to know what that's all about before everyone else does. Best for: Arthouse devotees who don't mind a bad mood. Kind of like that time you all saw… The Road in 2009, because who says the holidays are about feeling good, anyway? When you need a slam-dunk guarantee that will make absolutely everybody happy: Skyfall. 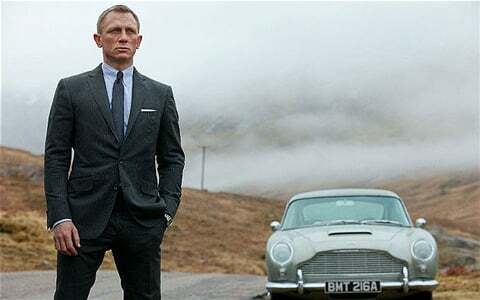 The new James Bond film has been in theaters for two weeks, so it's possible everyone in your family will have seen it already-- but, let's face it, they'll probably be happy to see it again. Skyfall is rated PG-13, so it's not necessarily for everyone, but it's such a big crowd pleaser that you probably can't go wrong unless you've got truly little skids on your hands. Best for: People who like awesome things. Kind of like that time you all saw… Quantum of Solace in 2008, but wanted it to be less of a downer.